Kirkland Lake Gold Ltd. announced overnight that the Company has revised and increased its consolidated three-year production guidance and improved its unit-cost guidance for 2019. 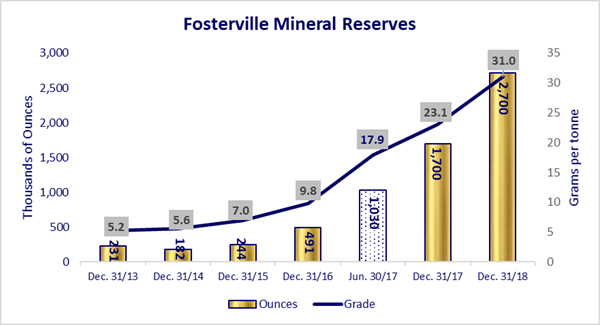 The Company also announced today Mineral Reserve and Mineral Resource estimates for December 31, 2018, which include growth in Mineral Reserve ounces and average grades at both Fosterville and Macassa, as well as on a consolidated basis. Panoramic Resources Limited announced today that first shipment of bulk nickel/copper/cobalt concentrate from the Company’s recently recommissioned Savannah Project in the Kimberley region of Western Australia has departed Wyndham, bound for Lianyungang, China. The MV Heemskerkgracht departedwith 7,735wmt of nickel/copper/cobalt concentrate on-board, with a preliminary invoice value of approximately A$ 8.6million. Commenting on this milestone, Panoramic’s Managing Director, Peter Harold said “it is wonderful to see Savannah concentrate being shipped again from Wyndham. This is a significant milestone in the recommissioning of the mine and processing plant at Savannah and I would like to thank the team at Savannah for their efforts to get the project going again." Northern Star today reported its financial results for the six months to December 31, 2018. The results reflected a combination of the strong performance at Northern Star’s Australian mines and the significant investment the Company made in its next round of growth, particularly at the Pogo gold mine in Alaska. The Pogo acquisition, which was included in Northern Star’s accounts from September 28, 2018, helped underpin a 43 per cent increase in revenue from the previous corresponding period to A$633.5 million. This led to a 33 per cent increase in the interim dividend to A6¢, fully-franked, which is in keeping with the Company’s policy of paying dividends equal to 6 per cent of revenue. Underlying net profit was up 11 per cent from the same time last year at A$89.1 million and statutory net profit was 4 per cent higher at A$82.1 million. “We generated an industry-leading return on equity of 20 per cent excluding the Pogo acquisition, which is particularly exceptional when compared with the Van Eck GDX index 5-year average of negative 2.9 per cent,” Mr Beament said. “At the same time, we invested a record A$83 million in exploration and expansionary capital, A$10 million of which was at Pogo. As yesterday’s announcement demonstrated, the exploration results we are generating at Pogo are world-class and will help us achieve our objective of growing mine life, production and cashflow there. International lead and zinc smelting company, Toho Zinc will invest $90M for a 40% ownership interest in Galena’s currently wholly-owned subsidiary AMPL, which owns Abra Base Metals Project in Western Australia. Toho and Galena each have a right to off-take their percentage share of Abra production on arms-length, benchmark terms, and then on-sell to third-parties. RNC Minerals announced a new high-grade gold discovery at its Beta Hunt Mine. Over the past week, approximately 9,250 ounces of high-grade gold was produced from a 44 m3 cut (130 tonnes) on 15 level at the Beta Hunt Mine (equal to over 70 ounces/tonne or 2,200 grams/tonne). The high-grade gold (coarse gold and large gold-containing specimen stones) includes approximately 190 kg of specimen stone, the largest of which is 95 kg with an estimated gold content of 2,440 ounces and a second large specimen stone of 63kg with an estimated gold content of 1,620 ounces. Final ounces will be determined once the coarse gold is processed and/or sold over the next week which is expected to yield approximately $16 million in cash. All of the high-grade coarse gold is hand-picked, direct ship ore and immediately sent directly to the Perth Mint. Bellevue today announced their latest drill results which confirms the significance of the new >800 metre strike length discovery in the Tribune Footwall directly below the Bellevue underground workings - The Viago Lode. 4.3 m @ 58.8 g/t gold a result of over 250 gram metres (refer figure 1). The latest drill result is considered highly significant by the company given the exceptional tenor of mineralisation and the wide spacings of the current drill grid (~240 metres). The result is very reminiscent of the high-grade bonanza ore shoots at the historical Bellevue mine in geology, grades and width. Executive Director Mr Steve Parsons said, “We are very pleased with how this new discovery continues to firm up, with the latest drill result confirming the Viago Lode to be another significant discovery for the Company. To have intercepted visible gold mineralisation in all but a single hole with scout drilling over 800 metres of strike length is quite exceptional and now with the receipt of this latest bonanza grade intersection, the potential of the Viago Lode is starting to become clear. Northern Star Resources announced today that the Company yesterday hit its production rate target of 600,000ozpa. Production for the June quarter to date is 150,000oz. This takes the total for the financial year to date to 540,000oz, meaning Northern Star is on track to beat the top end of its FY2018 guidance of 540,000-560,000oz. All-in sustaining costs will be within the guidance range of A$1000-1050/oz. Northern Star Executive Chairman Bill Beament said the Company was poised to maintain the growth trend on the back of its highly successful exploration strategy and increased processing capacity. “The recent acquisition of the 1.2Mtpa South Kalgoorlie mill, combined with our ongoing exploration success, will underpin continued production growth in our Kalgoorlie operations,” Mr Beament said. “This additional milling capacity provides increased flexibility in Kalgoorlie, where we have also just declared commercial production at the Millennium mine. 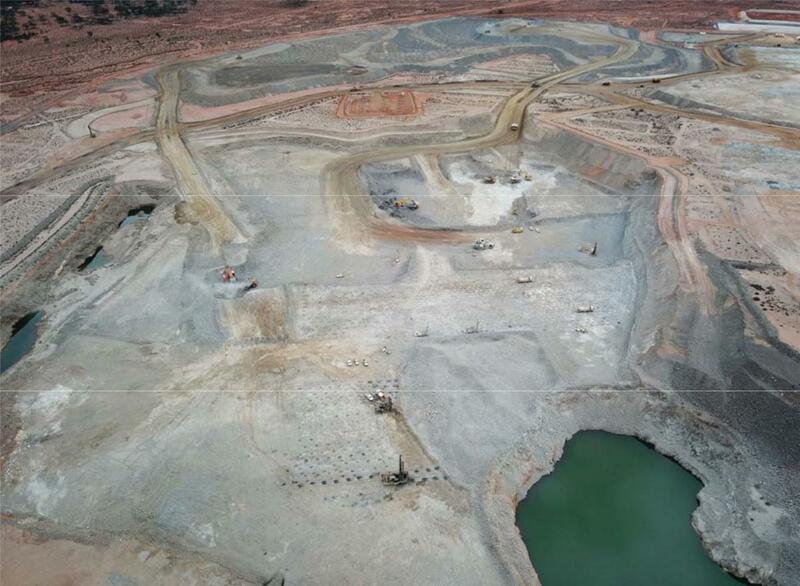 “At Jundee, we are experiencing a similar scenario, with the processing plant now running at the rate of 2Mtpa on fresh underground ore.” Northern Star will provide production and cost guidance for FY2019 as part of its wider Strategic Update in early August. The BHP last night approved US$2.9 billion ($4 BILLION AUD) in capital expenditure for the South Flank project in the central Pilbara, Western Australia. Mineral Resources Limited announced that it has entered into a definitive agreement with Cleveland-Cliffs Inc. to acquire the assets that were used, to run its Koolyanobbing iron ore operation in the Yilgarn region of Western Australia. The assets that MRL will acquire include Cliffs’ tenements and all remaining iron ore as well as the fixed plant, equipment and non-process infrastructure items on those tenements. In addition, MRL will assume ownership of Cliffs’ fixed infrastructure assets at the Port of Esperance, which include the railcar dumper and two large storage sheds. Koolyanobbing is located approximately 50km north of Southern Cross and immediately adjacent to MRL’s existing Carina Iron Ore Project. The acquisition of the remaining iron ore in the Cliffs deposits will enable MRL to realise further value from the investments it previously made in fixed plant, mobile equipment and rail rolling stock, which the Company has used to operate Carina since 2011. This transaction will also see MRL commence an iron ore export business from Esperance using larger and more cost-effective cape-size vessels. MRL will continue sending tonnes down the rail to Esperance and by doing so continue to provide jobs for hundreds of West Australians for the next five to six years. 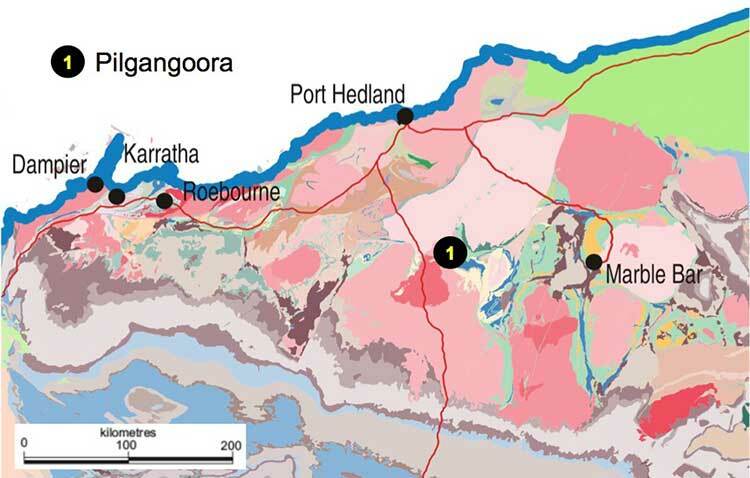 Joint venture partners Tawana Resources and Alliance Mineral Assets announced today a 105% Reserve upgrade for the Bald Hill Lithium‐Tantalum Mine located in the eastern goldfields of Western Australia The Reserve upgrade reflects pit design changes resulting from increases to Indicated Resources following infill drilling completed in the second half of 2017. The Total lithium Resources of 26.5Mt at 1.0% Li2O now supports 9 years of production. The JV partners are currently reviewing options for significant expansion in processing capacity and concentrate production. Westgold Resources Limited announced today an update of its underground exploration into virgin areas of Paddy’s Flat ore system at its Meekatharra Gold Operations. Gascoyne Resources Limited advised today that it has poured it's first gold bar from the new 2.5Mtpa processing plant at the Company’s 100% owned Dalgaranga Gold Project. Dalgaranga contains a Measured, Indicated and Inferred Resource of 31.1Mt @ 1.3 g/t for 1,320,000 ounces of contained gold, which is inclusive of Proved and Probable Ore Reserves of 15.3Mt @ 1.3 g/t for 612,000 ounces of gold. The Company remains focused not only on ramping up to full production, but also an ongoing aggressive exploration effort aimed at increasing the mine life towards 8-10 years, as well as progressing the Glenburgh Gold Project, the Company’s second +1.0 million ounce gold project in Western Australia. 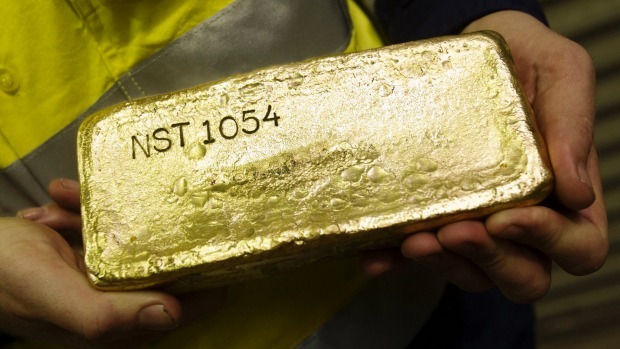 “To say that I am pleased to have poured our first gold would be a massive understatement. The Company has managed to put together a fantastic team which has grown the global resource base from under 200,000oz on listing, to now having two gold projects which each contain more than 1 million ounces, and progressed Dalgaranga through feasibility. We have built a 100% owned new gold processing facility and associated infrastructure under budget and ahead of schedule, and now poured first gold. The construction of the Dalgaranga mine would not have been possible without the Company’s Director of Operations and Development, Mr Ian Kerr who with his highly experienced (but small) development team of Warren King and Garry Moore, along with GR Engineering’s Team of Andrew Bennett and Matt Gordon have delivered the project ahead of schedule and under budget. A very rare feat indeed. With the plant now operational, the aim for the next few months is to achieve consistent performance from all aspects of the process plant. Artemis Resources Limited advises today that it has submitted a wide-ranging Programme of Works (“POW”) with the Western Australian Government’s Department of Mines, Industry, Regulation and Safety (“DMIRS”) to start an extensive drilling, trenching and bulk sampling programme immediately west of Novo Resource Corp’s (“Novo”) Comet Well Project. 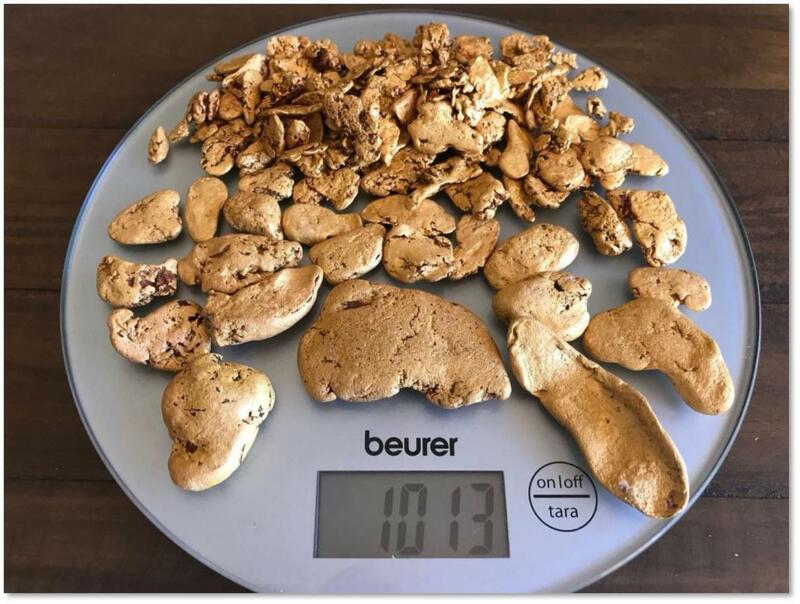 In addition, Artemis also provided and update on gold nuggets recovered (3.6kg) from the current ground rehabilitation works underway at 47K Patch. Syrah Resources Limited announced today that it has signed a purchase agreement for an industrial site for its Battery Anode Material (BAM) development in Vidalia, Louisiana. Under the terms of the agreement, the purchase price of US$1.225 million is for a 25 acre site with an existing building. In a strategy to focus its efforts on its larger long-life Murchison gold assets, the Board of Westgold Resources Limited has agreed to sell its South Kalgoorlie Operations to Northern Star Resources Limited. 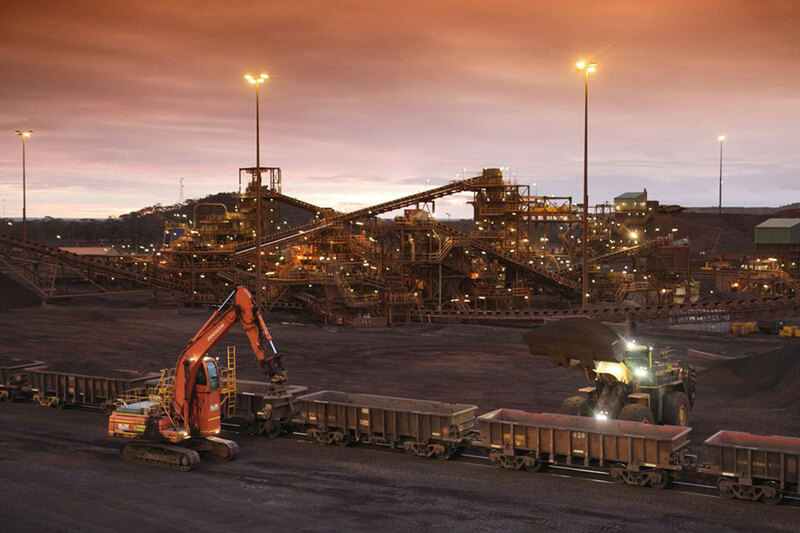 South Kalgoorlie Operations operates Jubilee Processing Plant as its mining hub. In recent years the HBJ Underground Mine has operated as the core feed with additional smaller open pit and low-grade stockpile sources providing approximately 60% of plant capacity. 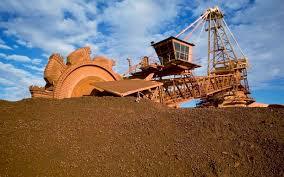 The remainder of plant capacity has been filled by toll processing third party ores from the region. Westgold has agreed to sell its wholly-owned subsidiaries that collectively make up the South Kalgoorlie Operations; Dioro Exploration Pty Ltd, HBJ Minerals Pty Ltd and Hampton Gold Mining Areas Ltd. The consideration for the sale is $80 million (with working capital adjustments). 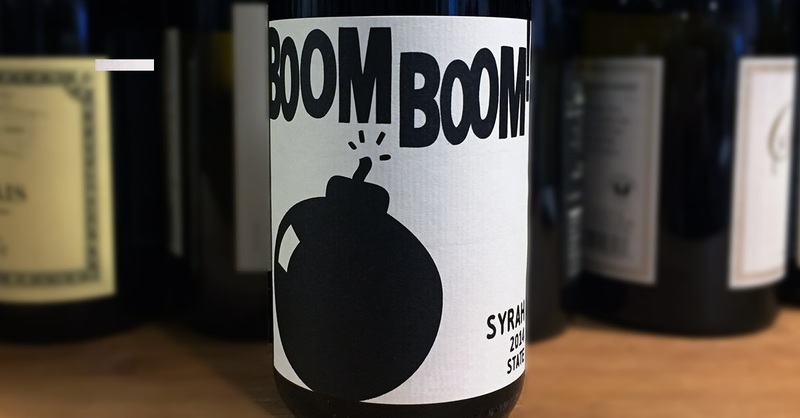 The purchase consideration is made up of $20 million in cash and $60 million in unrestricted fully paid ordinary shares in Northern Star calculated at a backwards-looking 10-day VWAP. Westgold will retain its lithium royalties over the Mt Marion Lithium Mine and the rights to lithium exploration and mining over Location 53 and 59. 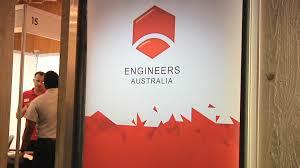 Westgold Managing Director Peter Cook said:“This is a nice deal for both parties. It provides Northern Star with additional and instant plant capacity in the Kalgoorlie region for its expanding gold operations. For Westgold, it divests our shortest life asset, provides a cash boost and upgrades the overall quality of our gold portfolio. As at June 30, 2017, South Kalgoorlie Operations had Ore Reserves containing 252,000 ounces which was 7.45% of the groups total Ore Reserves. SKO has produced 24,000 ounces in the first half of this financial year”. Blackham Resources Limited announced an operational update for the month of January at its Matilda-Wiluna Gold Operation. Access to high-grade zones in the M4 and Galaxy Pits was achieved late in the Dec’17 quarter, enabling record monthly gold production of 6,498oz. This resulted in Blackham achieving a record low monthly AISC in Jan’18 of A$1,158/oz, in comparison to an average realised gold price during the month of A$1,663/oz, demonstrating a clear step change in economics. Milled grade and gold production are expected to continue to improve. The operation is now building high-grade stockpiles for the first time since March 2017. “With the Operation’s production at record levels and a significant reduction in AISC having already been achieved, the Company is clearly demonstrating that its operational turnaround is well underway. This operational performance, in conjunction with the current strong AUD gold price, is expected to make 2018 a transformational year that is expected to generate significant cash flows and value for Blackham and its shareholders.” Blackham’s Executive Chairman, Mr Milan Jerkovic, said. After a protest at the steps of Parliment house today, the WA state Liberals unanimously decided to block a move by the WA state government to raise the gold royalty rate from 2.5 percent to 3.75 percent. Opposition Leader Mike Nahan said after the meeting "This royalty increase would have imposed a significant risk to jobs in the industry, it is our view that the McGowan Government did not seek nor have a mandate to increase the gold rate"
The state government now has to hope for a win on the GST after a report suggested changes which could send billions back to Western Australia which will help fill a deepening black hole. Australian lithium developer, Pilbara Minerals Limited announced today that it has executed a binding terms sheet with Great Wall Motor Company, one of China’s largest automotive manufacturers, to further underpin the Stage 2 expansion of its 100%-owned Pilgangoora Lithium/Tantalum Project in Western Australia. 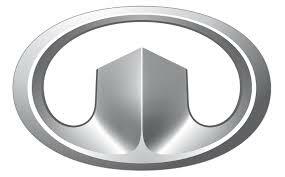 The agreement – encompassing up to 150,000tpa of Stage 2 chemical-grade spodumene concentrate off-take, Stage 2 debt financing support and a $28 million upfront equity subscription for Pilbara shares – represents the first direct investment by an automobile manufacturer into an upstream supplier of lithium raw materials. “This marks an important milestone for Pilbara and the Pilgangoora Project and is a significant development for the rapidly evolving lithium-ion raw materials supply chain globally,” said Pilbara’s Managing Director and CEO, Ken Brinsden. “It highlights the strategic importance for the global automotive sector of securing access to large-scale, consistent, high-quality sources of battery raw materials in low-risk jurisdictions. Attracting a company of Great Wall’s size and calibre as a long-term off-take and funding partner is a strong endorsement for the Pilgangoora Project and the Company. 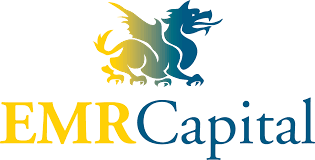 We are also delighted that they will be joining our share register as a strategic investor. While this deal reflects the remarkable progress being made in China, we are also witnessing increasing interest from battery and automobile manufacturers outside of China looking to secure their future lithium requirements, in response to an increasing global market shift towards electric vehicles and off-grid storage. In conjunction with the rapid expansion in spodumene conversion capacity currently being rolled out in China to supply the battery market beyond electric vehicles, these themes highlight the fundamental demand for lithium, which comes at an opportune time for the Company as we look to complete our Stage 1 development at Pilgangoora and pursue further growth via the Stage 2 expansion,” Mr Brinsden added. Australian Private equity house EMR Capital to take 80 pct stake in Zambia copper mine at the cost of $125m after it purchased copper zinc mine Golden Grove from MMG in December. 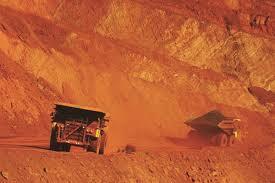 The Lubambe Mine held equally by ARM and Vale International. EMR chief executive officer Jason Chang said the Lubambe acquisition reflected the firm’s confidence in the quality of the project as a long-life copper producer located in Zambia’s most prolific mining region, the Copperbelt. "We are pleased to enter into an agreement to acquire Lubambe, which offers exceptional quality and growth potential and which will substantially enhance the value and depth of our copper portfolio. "EMR will continue to focus on copper, gold, potash and coking coal acquisition opportunities globally,"
St Barbara Ltd was last night named ‘Digger of the Year’ at the 26th Diggers & Dealers mining forum in Kalgoorlie, Western Australia. The prestigious award recognises the significant turnaround achieved by the St Barbara team over the past three years. The award recognises the huge effort by all of St Barbara's employees during an at times difficult period and the turnaround has positioned St Barbara with world-class operations, a first-rate team culture, no debt and an exciting future. St Barbara Managing Director and CEO, Bob Vassie, accepted the award on behalf of the Company at last night’s Diggers & Dealer's gala dinner. Metals X Limited recommenced underground drilling in November 2016 shortly after taking control of the Nifty Copper Operation. To date, approximately 20,000 metres of diamond drilling outside of the mining area has been completed with the objective of extending the Ore Reserve up plunge, down-plunge and within the limbs of the folded carbonate units within the Nifty syncline. Although a substantial number of assays are still pending, results to date confirm significant extensions of mineralisation outside of the current mining areas.The drilling has returned some exceptional and long intercepts of well-developed copper mineralisation which are analogous to the Nifty ore system. Metals X Managing Director, Warren Hallam, said: “We are very pleased with the results to date that clearly confirm the upside potential of this outstanding ore system. We are confident that we will grow Nifty into a large, long-life mine and that Nifty will continue to be a significant copper producer for years to come”. “We are excited by the exploration potential within the Throssell Ranges and believe that there is substantial opportunity for further discoveries. We have commenced our regional exploration program with the drilling of a Nifty look-alike target at the Finch Prospect, 20 kilometres south-east of Nifty that is also on the same regional copper-trend. A second rig has also been deployed to test the down-plunge extent of the Nifty syncline on the basis of results from the recent deep seismic surveys.” “In addition, drilling will commence at our Maroochydore Prospect in August after the completion of the current Finch program. Maroochydore is located approximately 85 kilometres south-east of Nifty and already hosts a large copper oxide deposit with over 500,000 tonnes of contained copper metal at a grade of approximately 1% copper. 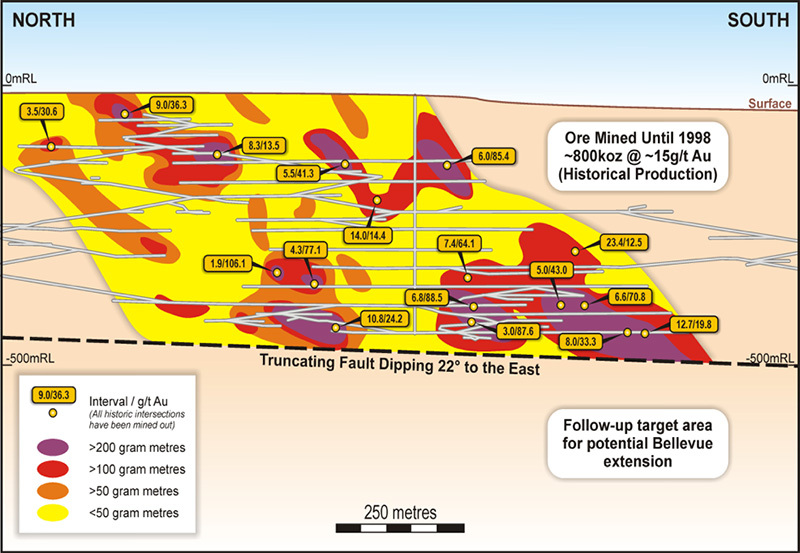 More recent deeper drilling has also identified the upper zones of the primary chalcopyrite sulphide mineralisation. The objective of the program is to explore for another Nifty at depth”. 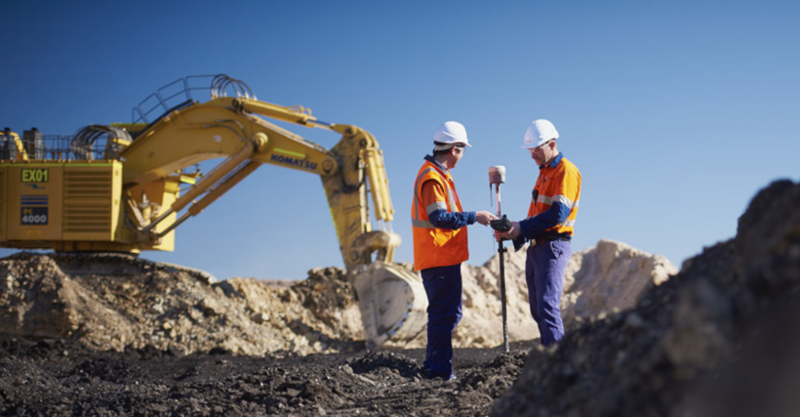 According to a job vacancy report by Engineers Australia, demand for mining engineers has almost doubled in Western Australia over the last year. Industry leaders say the turnaround signals growth in mining activity, as small and medium-sized companies move towards production, particulary in the gold industry. Our clients are saying it is getting harder to find the right candidates for their vacancies. Doray Minerals Limited announced today initial results from its ongoing Resource infill and extension programme at the Deflector Gold Copper Operation. This drilling is part of Doray’s aggressive strategy of upgrading the Inferred sections of the Mineral Resource to Indicated category, and extending it at depth, which will allow additional Ore Reserves and mine life to be delineated at Deflector. Drilling has primarily focussed on the extremities of Mineral Resources on the main Western and Central Lodes, with additional intersections of the Contact Lodes. A total of 19 diamond drill holes for 6,103m have been completed to date, with drilling continuing. Doray’s Managing Director Mr Leigh Junk said the Company was excited by the excellent results that have increased the understanding of the orebody and confirmed that strong mineralisation continued at depth beyond the boundaries of the current mine plan. “The Deflector orebody is open at depth and these drilling results highlight the many opportunities we have to define further extensions, and strengthens our confidence that the mine life can be extended beyond the current five years” Mr Junk said. Australian lithium developer Pilbara Minerals Limited advised today that it has received its environmental approval for its 100%-owned Pilgangoora Lithium-Tantalum Project in Western Australia, marking the last of the major approval milestones for the project and clearing the way for construction to proceed. The approval of the Company’s Mining Proposal by the Department of Mines and Petroleum (“DMP”), in combination with previously approved Native Vegetation Clearing Permit and Project Management Plan, authorises Pilbara to commence major site works. Pilbara’s Managing Director and CEO, Ken Brinsden, said the completion of the extensive environmental approvals process by the DMP was a significant milestone for the Company, securing the necessary approvals to enable fullscale construction activities to begin. Mount Gibson Iron Limited (Mount Gibson) was pleased to announce Board approval to redevelop and restart production from the high grade Main Pit iron ore deposit at its Koolan Island mine in Western Australia, after a feasibility study confirmed compelling economics for the Project. Extensive technical evaluation carried out over the last two years, including detailed design and multiple peer reviews by independent engineering experts, has confirmed a safe and viable design and construction method to rebuild the Main Pit seawall, which is required to dewater the pit and recommence production from the Main Pit Deposit. Seawall construction, pit dewatering and all other activities associated with restarting production are anticipated to take approximately 24 months to complete with Mount Gibson targeting first ore sales in early 2019. Today Yancoal Australia Ltd (“Yancoal”) anounced they have received confirmation from the Foreign Investment Review Board (“FIRB”) that the Commonwealth has no objection to Yancoal acquiring 100 percent of Coal & Allied Industries Limited (“Coal & Allied”) (“Transaction”), which owns an interest in the Hunter Valley Operations (“HVO”) mine and the Mount Thorley Warkworth (“MTW”) mines (together with associated assets), subject to compliance with existing governance conditions, which already apply to Yancoal’s current assets and standard tax conditions now applied to all FIRB approvals. Satisfaction of the FIRB condition precedent represents a critical milestone. The acquisition of Cosmos from Glencore in 2015 is now paying dividends for Western Areas. 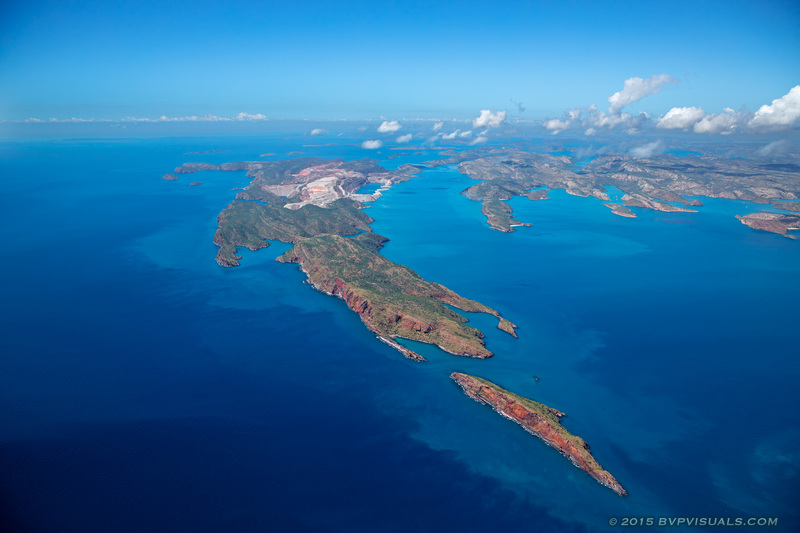 Western Areas announced the results from the Cosmos Odysseus Pre‐feasibility Study, which demonstrates commercial viability of the Odysseus Project and the potential re‐start of nickel mining operations at Cosmos. With the successful completion of the PFS, the Western Areas Board has approved the Project to progress to the Definitive Feasibility Study stage. The PFS base case findings indicate robust economic and nickel production metrics together with further significant upside opportunities, as well as a very low all‐in sustaining cash cost of operations. The decision by the Board to commence a DFS underpins Western Areas’ strategy to develop a second operating region and thereby consolidate its position as a leading Australian nickel producer. Western Areas Managing Director Dan Lougher said that the PFS results demonstrate the healthy operational and financial characteristics of the Project. “The positive results from the PFS, combined with the recent drilling success achieved within 18 months of acquisition, demonstrate Western Areas’ ability to accelerate and deliver value from the Cosmos acquisition,” Mr Lougher said. “Odysseus is a core growth asset for Western Areas with exciting upside potential and progressing this to DFS stage will ensure that Western Areas is ready to leverage an upswing in nickel prices. Being a conventional underground nickel sulphide project, it is a great fit with our core skills and experience in hard rock underground mining and conventional nickel flotation at Forrestania,” Mr Lougher said. What is happening to the iron ore price? Fundamentals suggest, US$90 a tonne is a really good number and the iron ore producers have all suggested the $90 will not be supported for too long. Supply continues to increase, particularly from Brazil and low cost sources and combined with higher production, and higher stocks at the ports, fundamentals all point down. On the other hand, China's demand for higher grade iron ore continues to support these "high" prices. Western Areas Ltd, was pleased to announce yesterday that the Company has intersected a new massive sulphide zone, including two super high grade results, immediately below the Odysseus North orebody at the Cosmos Nickel Complex (Cosmos). The new intersections are 160m south of a high grade Inferred Mineral Resource of 0.05Mt @ 11.6% which forms part of the Odysseus North orebody. These intersections, when combined with results from geophysical surveys, represent a potentially significant extension to the high grade Resources at the broader Odysseus Project. Western Areas Managing Director, Dan Lougher, noted that the underexplored potential of the Cosmos Nickel Complex was one of the key drivers of the acquisition. “On acquiring Cosmos, we had the clear view that the true potential of the project, both for more nickel near existing known orebodies and for new discoveries in a wider regional setting, had not been adequately tested,” Mr Lougher said. “We’ve begun testing this view which has resulted in both strong potential for adding more high grade Resources near Odysseus North and some very promising exploration hits at Neptune, as reported recently. Additionally, we expect to convert more quantified Mineral Resources at Odysseus North to a higher confidence category and enhance our understanding of this significant deposit. “Cosmos is starting to deliver on the opportunities we believe exist at the project, and we look forward to continuing this progress throughout the year,” Mr Lougher said.